We've spent 35 years perfecting our craft, and the all-new Women's Neo Power Art Motion Shorts are just one of the creations inspired by our dreams. These all-new works of art feature multiple premium fabrics strategically placed to provide the right amount of compression, comfort and support for all-day riding. Their textured feel gives depth to the shorts as well as amazing moisture management for when things heat up. 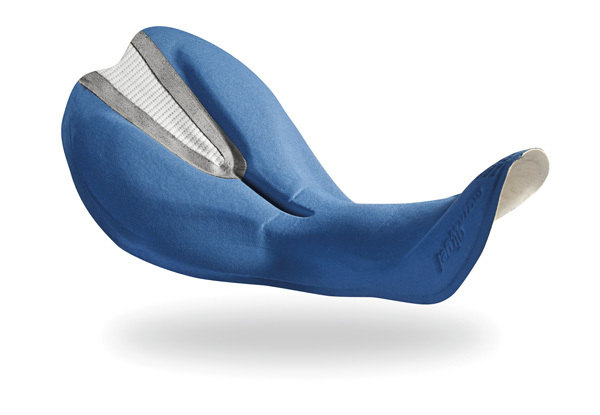 The HugFit waistband provides just enough coverage while keeping the shorts in place, and laser-finished leg grippers keep the shorts from riding up.They come with our patented Motion AirGel women's specific chamois that provides all day comfort in the saddle. Did you know the Art Factory is an actual place, right outside Québec City? It's a place where wild dreams come true, and where the smallest of ideas are turned into creative masterpieces. Graphic design is part of that, sure, but some of the quintessential elements coming out of the Art Factory are creations that are designed by female cyclists, fit perfect on our bodies, are made with state-of-the-art fabrics that make us all perform better, and have features that make us safer. We've spent 35 years perfecting our craft, and the all-new Women's Neo Power Art Motion Shorts are just one of the creations inspired by our dreams. These all-new works of art feature multiple premium fabrics strategically placed to provide the right amount of compression, comfort and support for all-day riding. Their textured feel gives depth to the shorts as well as amazing moisture management for when things heat up. 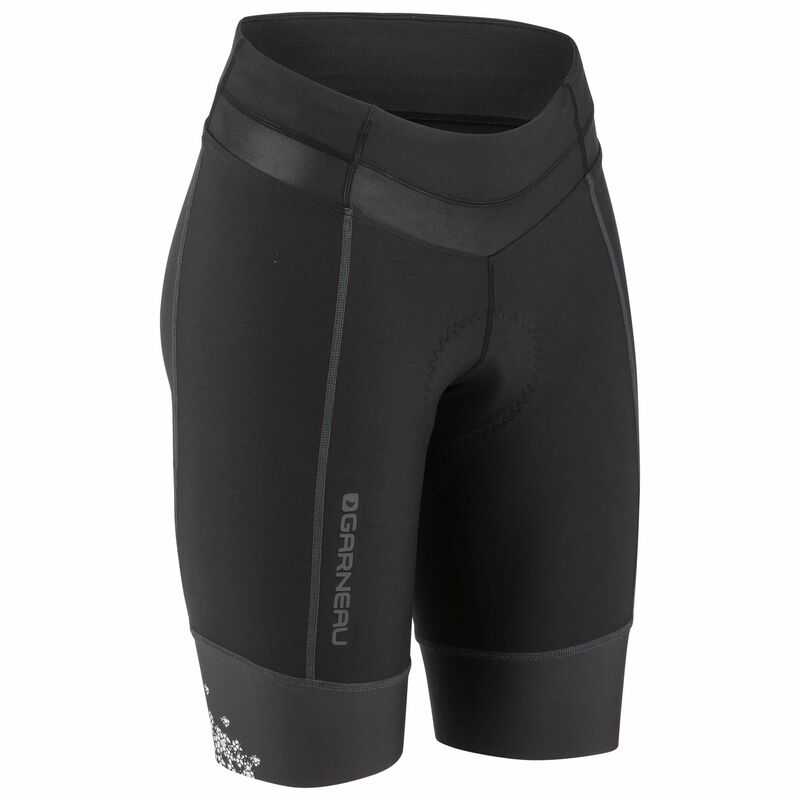 The HugFit waistband provides just enough coverage while keeping the shorts in place, and laser-finished leg grippers keep the shorts from riding up. 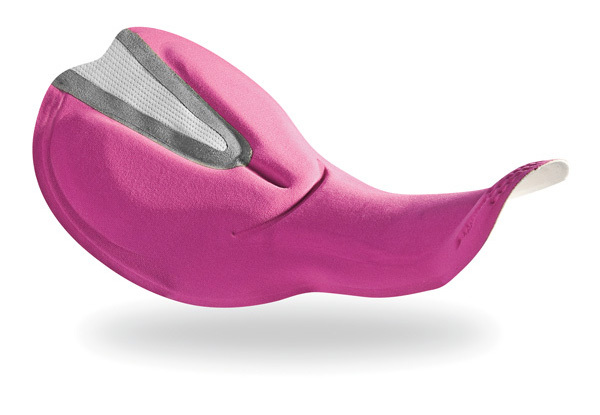 They come with our patented Motion AirGel women's specific chamois that provides all day comfort in the saddle. Bottoms Fabric : Power + LYCRA® fiber: Our most popular compressive fabric is designed to fit muscle shape and provide maximum support for muscular fibers - Pro + LYCRA® fiber: Support and shape recovery - Beverly : Lustrous knit with incomparable stretchability and comfort.